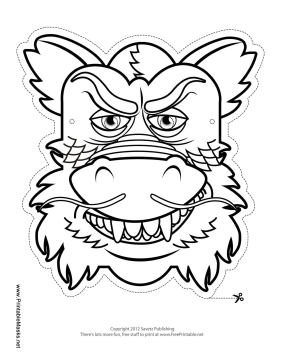 Even if it's not the Year of the Dragon, this Asian dragon mask coloring page will be perfect for any class studying the Chinese zodiac. You could even dress up as a Chinese dragon for Halloween! This mask is free to download and print.